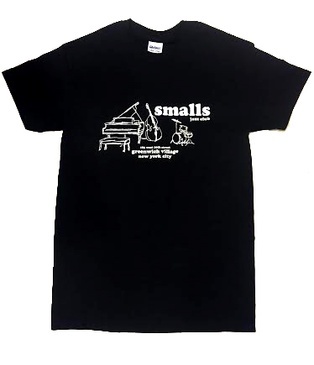 This is our Smalls Jazz Club "Piano, Bass & Drums" 100% Cotton T-shirt. Available in 4 sizes, choose S, M, L or XL. Shipping included.